Introducing Raw Chicken Alcohol... And You Thought Bacon Vodka Was Disgusting? Introducing Raw Chicken Alcohol… And You Thought Bacon Vodka Was Disgusting? Prepare your stomachs: Pechuga Mezcal is giving meat lovers and tequila worm warriors a whole new kind of party-challenge. This Mexican spirit is somewhat similar to tequila in that the agave plant is a primary ingredient in both. 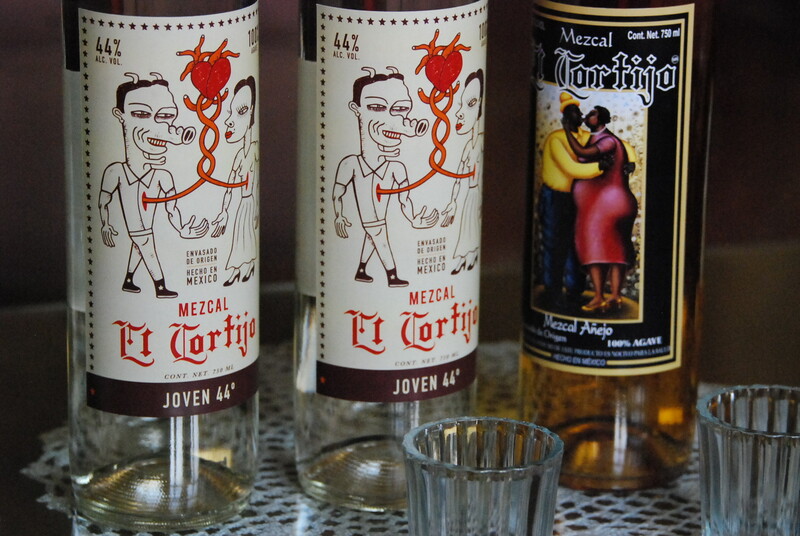 Mezcals, however, are made only at the end of the year when the agave and other fruit ingredients are at their ripest. And as for the name— “Pechuga” means “breast” in Spanish. It’s named after one of its main ingredients, one many bar-goers might find surprising: raw chicken breast. After all nothing says “night on the town” quite like a tequila and chicken flesh cocktail. Am I right? If you cringed at bacon vodka or get grossed out by the idea of meat-garnished beverages, stay far away from any Pechuga drink. Incorporating raw chicken into its mix, Pechuga Mezcal puts other meaty alcoholic beverages to shame. And it’s not part of a fad either. Livestock has been added to Mexican Mezcals for hundreds of years. In fact, this used to be made almost exclusively for special occasions. 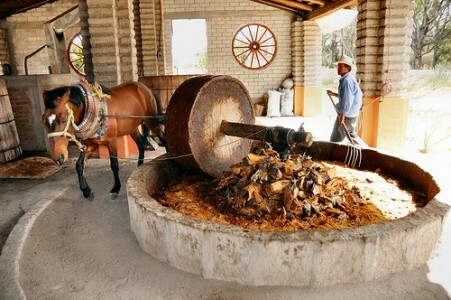 Pechuga Mezcal is distilled three times. Minero Mezcal is the product of the second distilling. The third period is where the magic happens. In goes the ripe mountain apples, plums, pineapples, banana, almonds, rice and of course, an entire raw chicken breast. The skin is removed, but the bones are not. This concoction may seem to be the product of a toddler playing witchcraft, but actually a shot of this drink is said to taste similar to tequila or even a scotch with a smoky, savoury after taste. You might even notice a hint of chicken broth. Be assured, the chicken breast is not simply tossed into the batch. It’s carefully cleaned to remove grease and then dangled over the still with ropes. Distilling typically takes twenty-four hours, at which point the chicken simply disintegrates. Sounds more like salmonella sangria? Wrong. The alcohol combined with the heat produced during the distilling process essentially cooks the chicken. So although it goes in raw, it finishes cooked. Rabbit and turkey are also common meats that may take the place of chicken for certain Mezcals. You can sample a basic Mezcal in most cities—such as Toronto’s Reposado or La Carnita—or simply seek out any liquor with “Mezcal” on the label at your local liquor store. If you live in the U.S., see if you can add any of these bars into your weekend itinerary. They all serve Pechuga Mezcal. And if you’re going to be in Vancouver, the 16th Street Liquor Store sells Pechuga Mezcal. But be forewarned: you better be willing to pay. At $135 for a bottle, it turns out liquefied raw chicken is a luxury item.